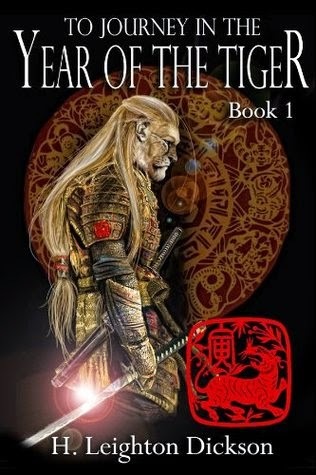 I finished reading To Journey in the Year of the Tiger a couple of weeks ago and found it hard to sit down and write a review. It should be easy, considering how very much I adore this book but then again, that could be what makes it such a challenge to find the right words. Now that I'm half way through the second book, To Walk in the Way of Lions, I have a good idea what to say. I've never read anything like this. The idea of big cats living in the hierarchy and values of Imperial China caught my attention and the mystery and characters held me to the story. Each powerful character avoids stereotype. From the amazed and energetic Scholar, the dark and seductive Alchemist to the honour-first Captain each was well rounded, developed and managed to surprise me while staying in character. The descriptions of everything from scenes to garments draws on my knowledge of Imperial China and builds on my own imagery without making me struggle to make things fit in my own mind. I could use words like vivid and stunning because they would be true but the fact that the complex settings are so digestible makes this book so very rich. I found both books one and two in this series free and made sure I paid for book three before I found it free as well. Didn't feel right to enjoy this book so much without supporting the author with a few dollars. To Journey in the Year of the Tiger is like finding a bag of treasure and knowing you've stumbled upon something fantastic. It is definitely worth purchasing. To Journey in the Year of the Tiger is seductive and crass, powerful and humble, wicked and pure, humorous and stoic and rich and simple. The power of this book is in the contrasts it presents.